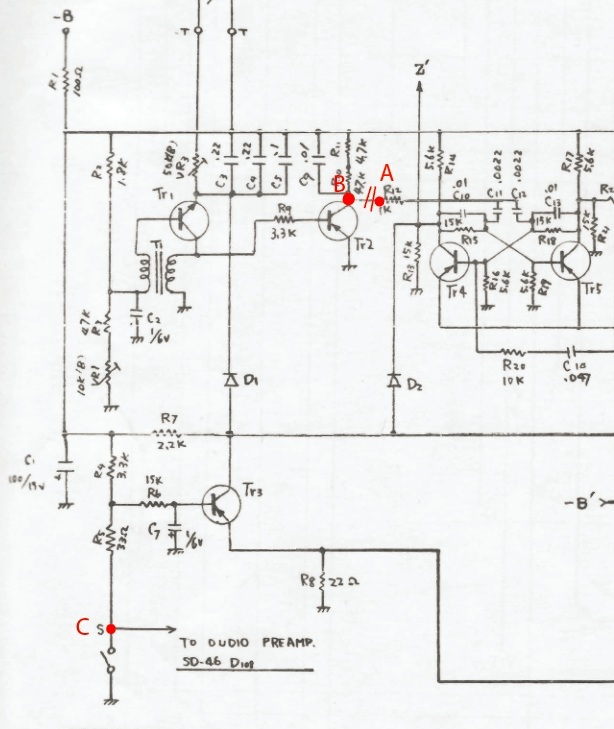 This manual shows how to connect uniPulse to the Ace Tone Rhythm Ace FR-1. It is possible to control all 10 drum voices via midi and they are velocity sensitive. It is even possible to control the Brush sound in a velocity sensitive way. 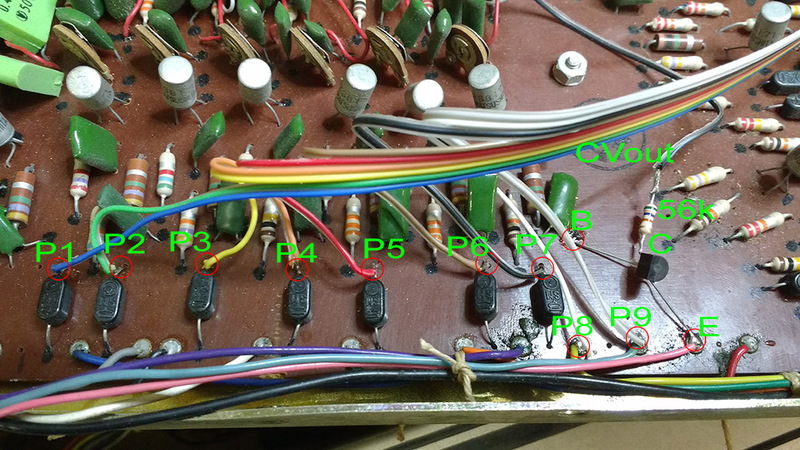 Here you can see the voice board with the connections of uniPulse triggers P1-P10. 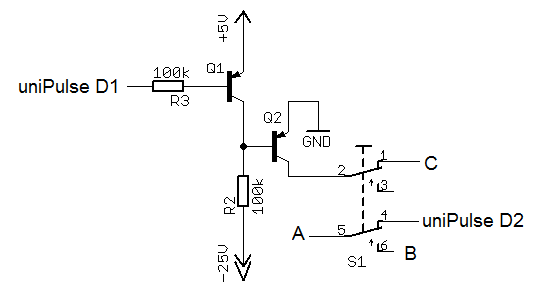 The brush control needs a general purpose PNP transistor such as BC557 and a 56k resistor. Connect them them just the way it shown in the picture. B, C, and E are the Base, Collector and Emitter of the transistor. Connect the base to point B, the emitter to point E and the collector to uniPulse CV-out via a 56k resistor. The 56k resistor is not connected to the 470k resistor on the board, it only looks like that in the picture.